Last year, the search engine optimization (SEO) community was all abuzz about "Mobilegeddon," or Google's mobile-friendly search engine algorithm. This year, the mobile SEO buzz is focused on Google's Accelerated Mobile Pages (AMP), though this time there's less "doomsday" urgency. But what exactly is AMP? Who needs to implement it and why? What are the potential pitfalls? And what role does the IT department play? We asked a number of SEO experts for answers. AMP is an open source project designed to help web publishers create mobile-optimized content that loads instantly on all devices, according to Google. "We want webpages with rich content like video, animations and graphics to work alongside smart ads, and to load instantaneously," Google wrote in a blog post. "We also want the same code to work across multiple platforms and devices so that content can appear everywhere in an instant — no matter what type of phone, tablet or mobile device you're using." Google's goal with AMP is to deliver the best possible mobile experience to its users. 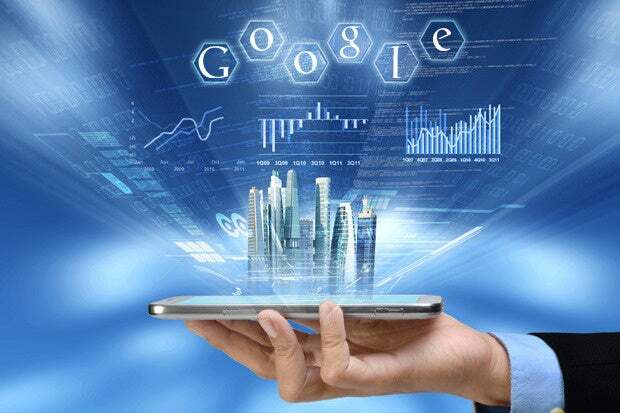 "Google wants to get information to the end user as fast as possible," says Michael Bertini, a search marketing expert for digital marketing agency iQuanti. "Google doesn't want the user to have to wait to read or see something." Rudy Galfi, Google's AMP product manager, said at a recent marketing conference that the median load time for AMP-coded content is 0.7 seconds, according to SearchEngineLand.com. In comparison, the median load time for non-AMP pages is 22 seconds, or "the time it takes for you to leave the site and never come back," Galfi said. On February 23, 2016, Google officially integrated AMP-powered web pages into its mobile search results. AMP-coded pages appear in a mobile search results "carousel," and they feature an AMP icon that looks like a thunderbolt, as well as the acronym "AMP." The open AMP HTML framework piggybacks on existing web technologies, but it also lets site owners create "light-weight" web pages, according to Google. "[Galfi] explained that Google AMP cache functions in a similar manner as a content delivery network (CDN), that it is free for anyone to use and that it works on 'stale-while-revalidate' model. This model helps make sure the content is always up to date in the cache. The process by which it works is quite simple: When a request is made, the client receives the cached version while the document is requested again from its original server to be updated in the cache." AMPs are "completely separate from a typical mobile site," says Jim Robinson, founder and CEO of ClickSeed, a digital marketing and SEO agency. "Assuming your site has a desktop version, a mobile version and an AMP version, the desktop version will be the canonical (preferred version), and the mobile and AMP versions will each be annotated separately as alternates." Site publishers can serve their own ads through AMP, "although there are restrictions on sizes and placements," Robinson says. "Most major publishers serve ads through DoubleClick for Publishers (DFP) or OpenX, both of which are compatible with AMP." 3. What types of sites should use AMP? Initially, AMP is focused on news stories from online publishers, the primary content Google search users currently see as AMP pages in mobile search results. However, AMP is also relevant for other types of businesses, such as ecommerce organizations, for which the AMP results carousel and other components are well-suited. For example, on June 30, eBay announced that its AMP-powered mobile shopping experience was live, and about 8 million AMP-based "browse nodes" are in production. Such popular queries as "camera drones" and "Sony PlayStation" are already "AMP-ed." The ability to develop AMP-based product pages is likely to "create a huge commercial incentive for websites to adopt the standard," according to Robinson. "AMP is an incredibly important part of a balanced marketing strategy for publishers today, given the project's close ties with search engine results and advertising impression rates," says Trevor Paulsen, a product manager with Adobe Analytics. "Adoption has been strong, given the battle for mobile ad dollars and the fact that Google prioritizes AMPs in search results. That being said, Google is interested in keeping people within their ad network, so it will be interesting to see whether ads are more successful on the mobile web or in apps." "As with any evolutionary change in the search engines, people need to pay attention to AMP and adjust," says Thomas Petty, president and digital marketing trainer with Bay Area Search Engine Academy. "Over time, it will become an influencing factor. Just as Google has been recommending mobile-responsive websites, this is another step in that direction." Web surfers want rapid search results, according to Eric Enge, CEO of digital marketing agency Stone Temple Consulting. "This means Google wants to give users speed, because they have serious competition in today's world. And if they can offer superior speed for content accessed via search results, they will maintain or win market share," Enge says. "Also, Google wants to keep people on the mobile web. While Google has five of the nine most-installed mobile apps, the reality is that their market share is far less certain there." AMP is not directly a search engine ranking factor, and sites that adopt AMP won't "get a massive boost in search ranking," according to Richard Gingras, senior director of news and social products at Google, who spoke to AdAge.com. "All of the other (search engine ranking) signals need to be satisfied as well," he said. However, "speed matters" in search engine ranking, according to Gingras. "If we had two articles that from a signaling perspective scored the same in all other characteristics but for speed, then yes, we will give an emphasis to the one with speed because that is what users find compelling." AMP can also indirectly influence where Google places pages in search results, according to Petty. If an AMP gets more clicks and fewer bounces because it's faster to load, Google determines that the page is valuable to users, and it's likely to get higher placement in search results. "Google is constantly changing up the rules of what performs best in search," says Miné Salkin, digital marketing manager of Absolute Mobile Solutions, a digital marketing agency. "Is your website mobile-friendly and does it pass the speed test? If not, your business might be adversely effected by the search engine page results." "With mobile becoming more and more prevalent in just about every aspect of people's lives, and with the majority of people using Google to find just about everything, AMP will be an essential tool now and going forward to ensure good rankings and findability on the web," says Oleg Moskalensky, president of Productive Computer Systems, a company that develops IT solutions for small businesses. Moskalensky says Google will "punish" slow-loading web content in their rankings. "So even if you do everything you can to improve SEO, without AMP, you'd be potentially spinning your wheels." And a recent SEO Powersuite survey of 385 SEO professionals found that 50 percent of respondents expect AMP to "significantly affect" their mobile search result rankings. 6. What are Google AMP's potential pitfalls? Like any significant technological change, AMP takes some getting used to, according to Petty. "It's harder to implement at first, but tools, plug-ins and add-ons evolve to make it almost automatic," he says. "Think of where SEO was a few years ago. Manually hand-coding meta tags and other elements was the norm. Now SEO plug-ins prompt users with exactly what they should do to improve ranking, without having to know SEO." And an AMP WordPress plug-in "does a pretty good job, and it will evolve over time" to make it simpler for everyone, Petty says. "It's a bit like going back to the early days of HTML websites, so it may not allow your fancy branded design the way you're used to doing it or give you all the functionality you're used to having on your pages," Enge says. "Effectively, you're starting your site design over again, but this time you make site speed one of the top two or three requirements. " Another downside is that when readers share links to AMP content that they clicked on through a Google search, the links point to Google.com URLs, rather than to the content developers' sites, as pointed out by Wired.com earlier this year. This change could negatively impact content developers' site traffic, according to Mike Kisseberth, chief revenue officer of digital content and services firm Purch. AMP "creates a potential challenge on the analytics side, as it's impossible to be 100 percent sure where a publisher's content will be loaded from, as well as complications with visitor identification due to tight cookie restrictions," says Paulsen. 7. What role does IT play in AMP? HTML code and programming are involved in AMP initiatives, so the IT department must be involved, according to Moskalensky. "IT needs to work with others for content creation and planning, but the actual implementation and maintenance would need to be done by IT either within the company or by a freelance company hired to do the job." IT "will likely play a big role in adopting the AMP standard because there are some behind-the-scenes prerequisites they'll need to help with," Robinson says. "For example, depending on the chosen configuration, a server admin may need to set up additional sub-domains or install secure certificates. There will likely be some coordination with any CDN vendor. Most of the work can be handled by developers from there, but there's definitely a bit of technical work involved." 8. Is AMP really the future of the mobile web? The reality is that AMP's future is still uncertain. "AMP potentially has big implications for the mobile web, but it all depends on whether it becomes widely adopted as a standard," says Robinson. "Not everything Google pushes for gains traction. Google pushed for adoption of Authorship markup, for example, which required publishers to implement code changes and encourage their writers to set up and connect Google+ accounts. But Authorship markup is now irrelevant and some publishers feel like they were sent on a wild goose chase." AMP "may stand a better chance at becoming a widely adopted standard since it's less proprietary than alternatives, like Facebook Instant Articles or Apple News," Robinson says. "As a result, publishers may be more willing to develop AMPs. That combined with the resources Google has put into promoting AMP as a new mobile standard mean it should be given a serious look."